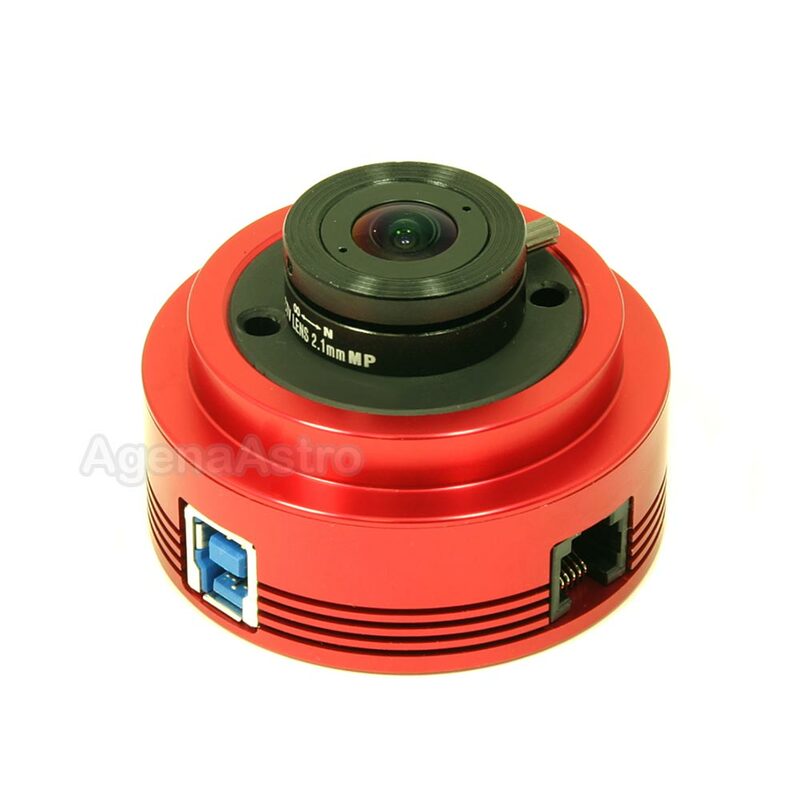 Please note: We are shipping the latest v1.3 ASI224MC camera. 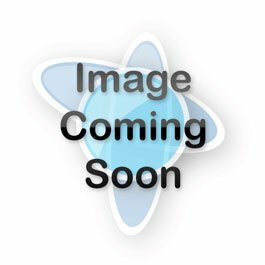 We do not have any old v1.2 stock of this item. 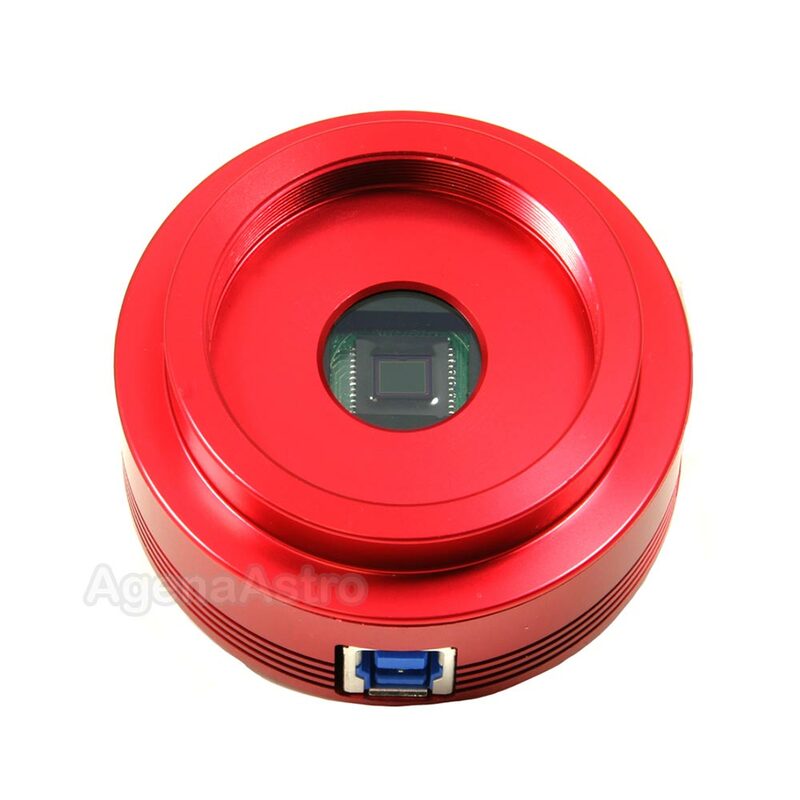 The ZWO ASI224MC is a sensitive and state-of-the-art color astronomy camera with 1.2 megapixel resolution and USB 3.0 download speed. Built around the Sony IMX224 sensor, this advanced camera has a resolution of 1304x976 with 3.75 μm pixel size. With 12-bit ADC and low read noise, this high-sensitivity camera is ideal for astronomical imaging of the Moon, planets, and Sun (with a safe solar filter), as well as smaller deep-sky objects. Following in the footsteps of the venerable ZWO ASI120 cameras, the ASI224MC uses the advanced and highly sensitive Sony IMX224 color CMOS sensor. 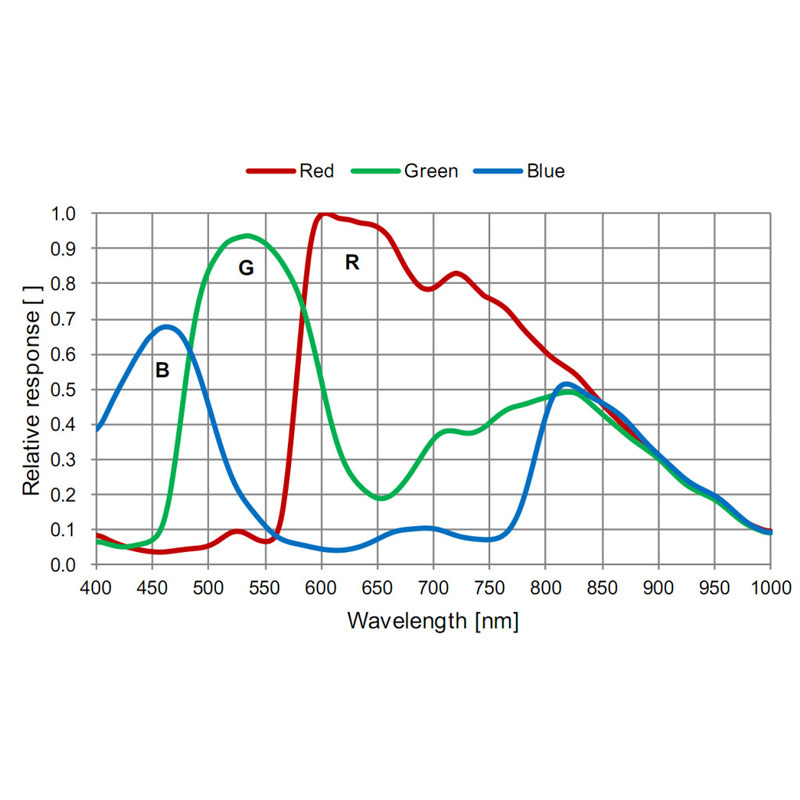 This sensor has a 6.09 mm diagonal and incorporates Sony's Exmor technology that enables high-speed processing, low noise, and low power dissipation using column parallel A/D. The fast USB 3.0 interface on the camera allow transfer rates of up to 150 frames per second at full 1304x976 resolution. 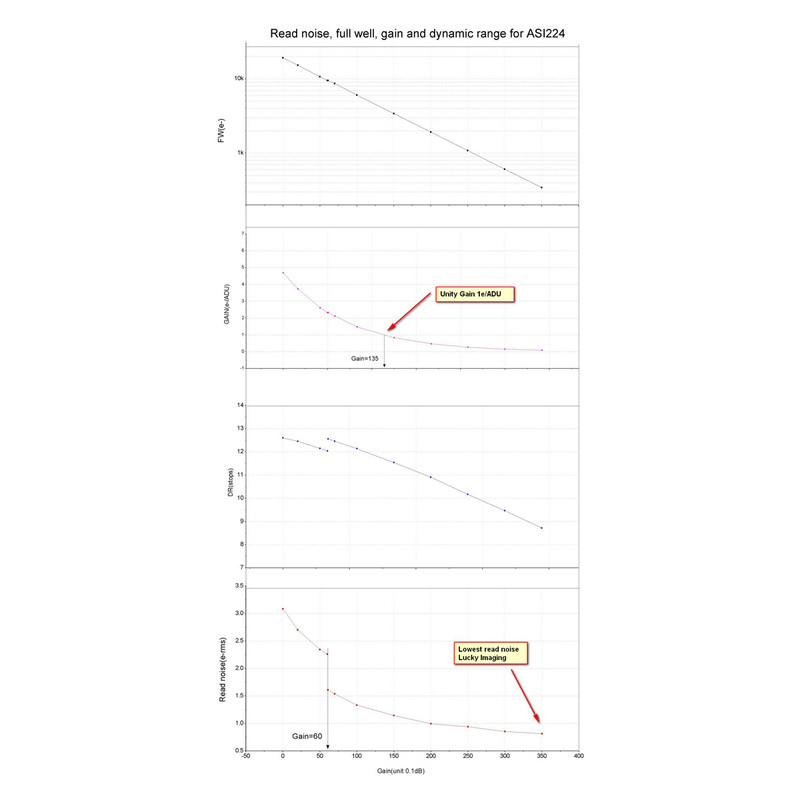 At reduced resolution of 640x480, download rates up to 299 fps become possible. The camera enables exposure times of 32 μs to 1000 s (16.7 minutes). The ASI224MC has a robust and attractive CNC machined red-anodized aluminum body that stands up to heavy field use. A clear IR-cut glass window protects the sensor and helps keep images sharp. A 1/4-20 thread in the bottom of the camera makes it easy to attach the device to a camera tripod or mount, and four M4 threads along the outside edge offer additional mounting options. 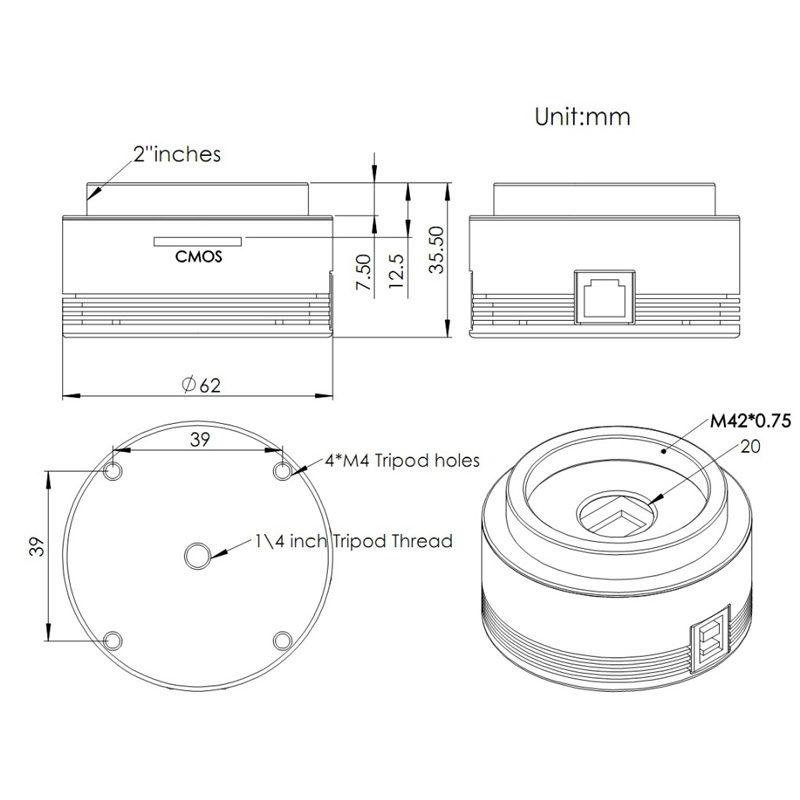 The camera body features a standard T/T2 female thread (M42x0.75) so that it can be directly connected to T-threaded accessories. Included is a 1.25"-T threaded nosepiece adapter that allows you to use the camera in standard 1.25" telescope focusers. The front of the camera also has a short (8mm long) 2" barrel that can be directly inserted into 2" telescope focusers. However, we recommend that use of a 2" T threaded prime focus adapter (not included) for a more robust connection to 2" telescope focusers. 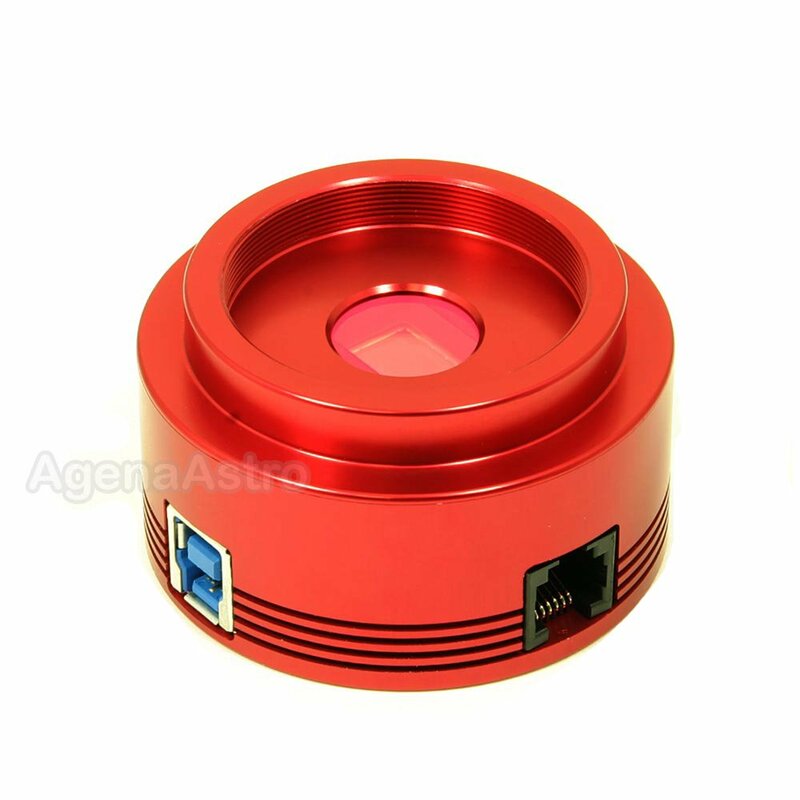 The ZWO ASI224MC color astronomy camera can be used with just about any telescope. When used for autoguiding, the camera can also work with Maxim DL or PHD when guiding with long exposures. You also get a 2-meter USB 3.0 cable and a 2-meter ST4 guider cable for use in autoguiding. A M42-threaded 1.25" nosepiece and a 1.25" cover also come with the camera. A 2.5mm all-sky lens is also included to give a 170° all-sky view when threaded into the camera. 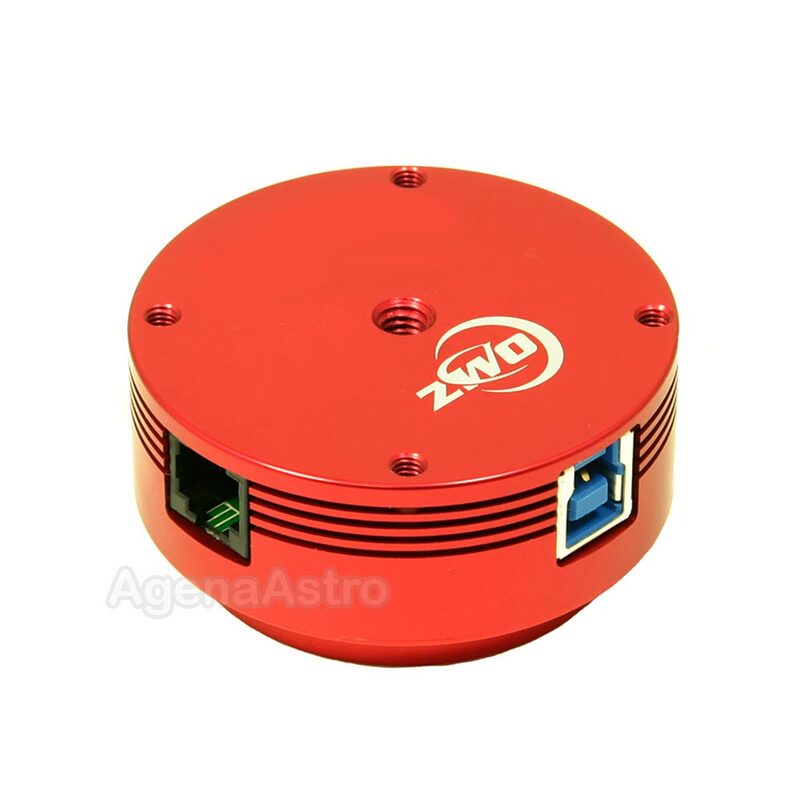 ZWO is phasing out software CDs, but the ASI224MC astronomy camera comes with instructions to help you download the required control software and drivers directly from the ZWO website. Product carries a 1 year manufacturer warranty against mechanical defects (within USA only).